On the bright side, the government approves of “lean meat” as compatible with healthy eating. The bill, introduced by Rep. Juan Candelaria, D-New Haven, would impose a tax of 1 cent per ounce on soft drinks – including sweetened teas, energy drinks and soda – and candies that are high in sugar and calories. Many commentators, including myself, have been sounding the alarm for many years that only a short-sighted society filled with fearful imbeciles would ever grant government tyrannical powers in the name of fighting an overhyped, outside enemy. As has happened countless times in world history, once these powers are granted they are always eventually used against the domestic population. Sometimes it is used to crackdown on dissent, but sometimes it’s used just to earn money and shake down the domestic plebs. It appears the British Broadcasting Corportation (BBC) in Great Britain is now using it simply to collect tax. Almost a year ago, the French constitutional court ruled against Francois Hollande’s triumphal blast into socialist wealth redistribution, with his proposed 75% tax rate on high earners, and so indefinitely delayed the exodus of the bulk of French high earners (even if some, like Obelix, aka Gerard Depardieu, promptly made their way to the country that has become the land of solace for all oppressed people everywhere, Russia) into more tax-hospitable climes. That delay is now over, when earlier today the same court approved a 75% tax on all those earning over €1 million. 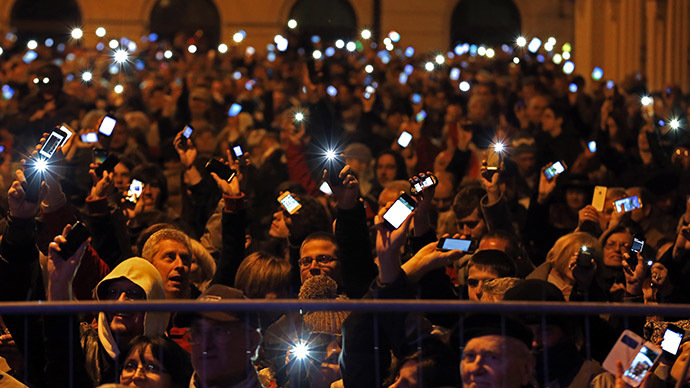 The proposal passed after the government modified it to make employers liable for the 75% tax. As BBC reports, the levy will last two years, affecting income earned this year and in 2014. And with the tax passage, the preparations for an exodus by all high earnings begin, first among the local football teams. 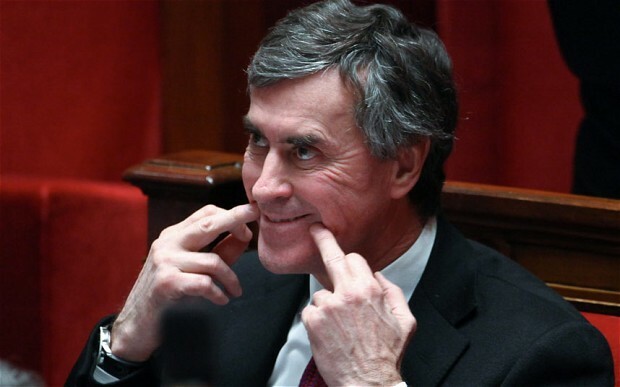 This would be Jerome Cahuzac, the French “budget minister” who was tasked with rooting out tax fraud by his socialist “75% tax or the capitalist pigs win” overlord, and who resigned two weeks ago to avoid “hindering” an investigation into allegations he had a secret Swiss account, all the while maintaining his innocence? Well, he was just exposed as the latest lying Eurocrat politicians. Where did he make the confession? In other words: just another politician. But that’s ok: it got serious – he could have gone to jail or been fired in disgrace, so naturally he had to lie. ‘Wealth Tax’ Contagion Is Rapidly Spreading: Switzerland, Cyprus And Now …. It was only yesterday that we wrote about comparable problems to those which Russian depositors may (or may not be?) suffering in Cyprus right, this time impacting wealthy Americans and their Swiss bank accounts, where as a result of unprecedented DOJ pressure the local banks will soon breach all client confidentiality and expose all US citizens who still have cash in the former tax haven under the assumption that they are all tax evaders and violators. And in the continuum of creeping wealth taxes which first started in Switzerland, then Cyprus, and soon who knows where else, there was just one question: “The question then is: how many of the oligarchs, Russian or otherwise, who avoided a complete wipe out and total capital controls in Cyprus, will wait to find out if the same fate will befall them in Switzerland? Or Luxembourg? Or Liechtenstein? Or Singapore?” Today we got the answer, and yes it was one of the abovementioned usual suspects. The winner is…. Liechtenstein. Read more‘Wealth Tax’ Contagion Is Rapidly Spreading: Switzerland, Cyprus And Now …. – US DEPARTMENT OF HOMELAND SECURITY HAS TOLD BANKS – IN WRITING – IT MAY INSPECT SAFE DEPOSIT BOXES WITHOUT WARRANT AND SEIZE ANY GOLD, SILVER, GUNS OR OTHER VALUABLES IT FINDS INSIDE THOSE BOXES! The Latest Evader Of The French Millionaire Tax: Former President Nicolas Sarkozy! That even former French president Nicolas Sarkozy plans to start a £1 billion private equity fund in London is not news: courtesy of ZIRP and the ongoing global reliquifiication of markets by every central bank as currency warfare goes ballistic, one would have to be seriously unlucky to chase the central planner inflated beta rally and not succeed (one would also have to be very unaware of the difference between nominal and real returns, but since that is most people these days, let’s ignore that). 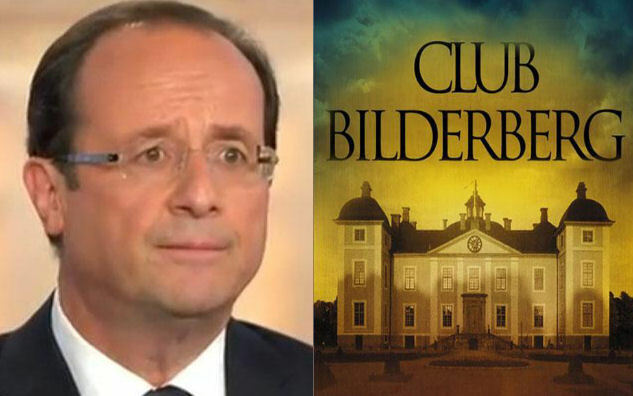 What is news, is that as part of said transfer to the “asset management business” it is none other than the former French president who is next in line to evade Hollande’s millionaire tax by crossing the Channel, and “redomiciling” himself in London. 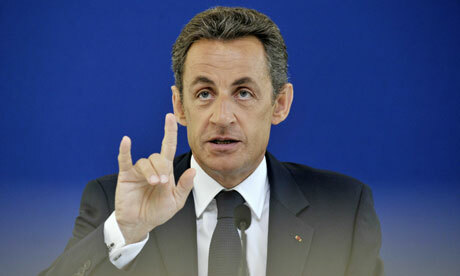 Nicolas Sarkozy is preparing to move to London to set up a billion pounds plus investment fund, it was claimed today. Read moreThe Latest Evader Of The French Millionaire Tax: Former President Nicolas Sarkozy!